In the wake of the barbaric Paris terror attacks, everyone is arguing over what we should do to stop further terrorism. We know it’s a difficult concept to grasp, but if we want to stop terrorism we should – wait for it – stopsupporting terrorists. Specifically, we’re arming the most violent radicals in the Middle East, as part of a really stupidgeopolitical strategy to overthrow leaders we don’t like (more details below). And see this, this, this, thisand this. And – strangely – we’re overthrowing the moderate Arabs who stabilized the region and deniedjihadis a foothold. Indeed, the U.S. and its allies are directly responsible for creating and supplying ISIS. As an internal Defense Intelligence Agency (DIA) document produced recently shows, the U.S. knew that the actions of “the West, Gulf countries and Turkey” in Syria might create a terrorist group like ISIS and an Islamic CALIPHATE. It was a willful decision [by America] to … support an insurgency that had salafists, Al Qaeda and the Muslim Brotherhood …. Saudi Arabia is the world’s largest sponsor of radical Islamic terrorists. The Saudis have backed ISIS and many other brutal terrorist groups. And the most pro-ISIS tweets allegedly come from Saudi Arabia. According to sworn declarations from a 9/11 Commissioner and the Co-Chair of the Congressional Inquiry Into 9/11, the Saudi government backed the 9/11 hijackers (see section VII for details). U.S. and NATO-supported Turkey is also massively supporting ISIS, provided chemical weapons used in the jihadi’s massacre of civilians, and has been bombing ISIS’ main on-the-ground enemy – Kurdish soldiers – using its air force. And some of the Turkish people also seem to be unsympathetic to the victims of terrorism. The U.S.-backed dictatorships in Qatar and Bahrain also massively fund ISIS. The U.S. rejected offers by Afghanistan, Iraq and Syria to surrender … and instead proceeded to wage war. Security experts – including both conservatives and liberals – agree that waging war in the Middle Eastweakens national security and increases terrorism. See this, this, this, this, this, this, this and this. So negotiating peaceful deals will drain the swamp of terrorists created by war and invasion. Top American politicians admit that the Iraq war was about oil, not stopping terrorism (documents from Britain show the same thing). Much of the war on terror is really a fight for natural gas. Or to force the last few hold-outs into dollars and private central banking. We’ve fought the longest and most expensive wars in American history … but we’re less secure than before, and there are more terror attacks than ever (update). Remember, Al Qaeda wasn’t even in Iraq until the U.S. invaded that country. And the West’s Iraq wardirectly led to the creation of ISIS. Once again, we have a very current example: Charlie Hebdo-murdering Frenchterrorist Cherif Kouchitold a court in 2005 that he wasn’t radical until he learned about U.S. torture at Abu Ghraib prison in Iraq. Top security experts agree that mass surveillance makes us MORE vulnerable to terrorists. Indeed, even the NSA admits that it’s collecting too MUCH information to stop terror attacks. By any measure the US has long used terrorism. In ‘78-79 the Senate was trying to pass a law against international terrorism – in every version they produced, the lawyers said the US would be in violation. 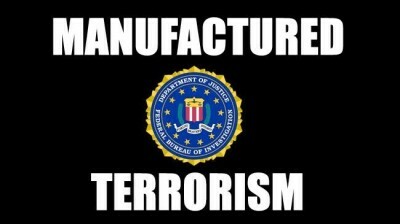 The United States has long been an exporter of terrorism, according to a secret CIA analysis released Wednesday by the Web site WikiLeaks. Chomsky and Herman observed that terror was concentrated in the U.S. sphere of influence in the Third World, and documented terror carried out by U.S. client states in Latin America. They observed that of ten Latin American countries that had death squads, all were U.S. client states. They concluded that the global rise in state terror was a result of U.S. foreign policy. In 1991, a book edited by Alexander L. George [the Graham H. Stuart Professor of Political Science Emeritus at Stanford University] also argued that other Western powers sponsored terror in Third World countries. It concluded that the U.S. and its allies were the main supporters of terrorism throughout the world. Indeed, the U.S. has created death squads in Latin America, Iraq and Syria. “… a fellow veteran of yours from the same battalion has said that you guys had a standard operating procedure, SOP, that said – and I guess this is a reaction to some EFP attacks on y’all’s Humvees and stuff that killed some guys – that from now on if a roadside bomb goes off, IED goes off, everyone who survives the attack get out and fire in all directions at anybody who happens to be nearby … that this was actually an order from above. Is that correct? Can you, you know, verify that? The use of violence and threats to intimidate or coerce, especially for political purposes. So McCord and Stieber are correct: this constitutes terrorism by American forces in Iraq. And Americanofficials have admitted that the U.S. has engaged in numerous false flag attacks. Indeed, many top experts – including government officials – say that America is the largest sponsor of terror in the world … largely through the work of the CIA. And see this. Postscript: It’s not yet clear whether any of the terrorists were “refugees”, and some say that ISISWANTS to stop all refugees from leaving Syria and Iraq. However, we also take the risk of infiltration of refugee groups by terrorists very seriously. The bottom line is that we have to stop throwing new bodies in the river, so that we drastically reduce the amount of terrorists in the first place.